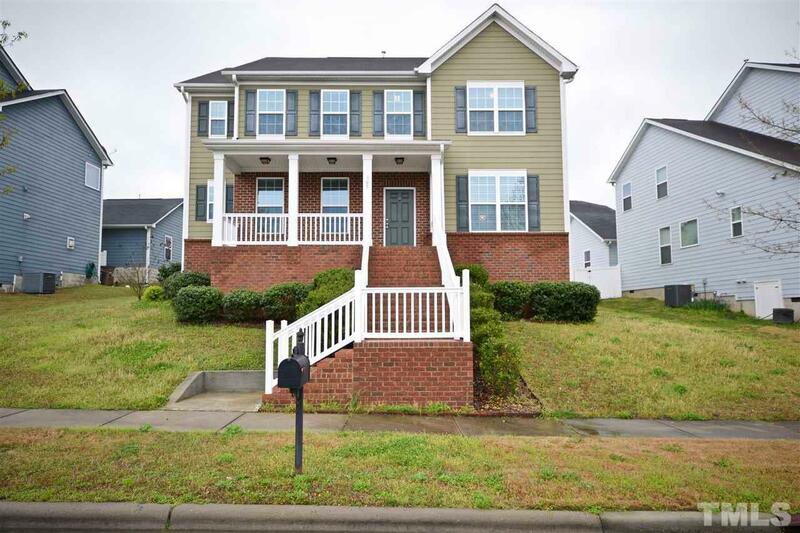 BEAUTIFUL AUSTIN CREEK SUBDIVISION! OFFERING FRESH PAINT, NEW CARPET, OPEN FLOOR PLAN, TONS OF NATURAL LIGHT, OPEN KITCHEN WITH LARGE ISLAND, 42" MAPLE CABINETS, GRANITE COUNTER TOPS, TILE BACKSPLASH, RECESSED LIGHTING, SS APPLIANCES, BUTLER PANTRY, 2" FAUX PLANTATION BLINDS, TRANSOM WINDOWS, LARGE OVER-SIZED PORCH, GAS LOGS, 2 CAR OVER-SIZED GARAGE, LAUNDRY ROOM, MASSIVE MASTER WITH HIS/HERS CLOSET, GARDEN TUB, SEP. SHOWER, LARGE WALK-IN CLOSET, AND MORE! COMMUNITY POOL AND PLAYGROUND, CLOSE TO DOWN TOWN!